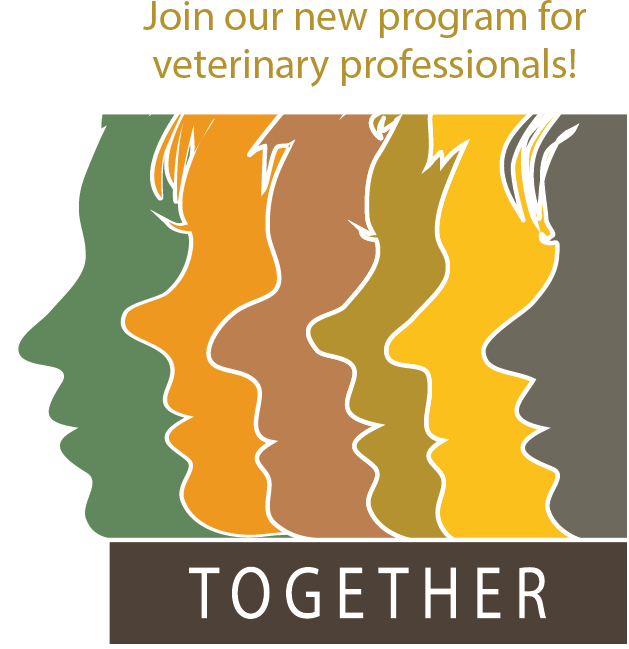 Join our Together program for veterinary professionals! Enrollment is easy! Practice owners register all members of their veterinary team, veterinarians and veterinary nurses, as a single group in the TOGETHER Program. When ALL veterinary professionals in a given practice complete the program, the practice will receive a TOGETHER Certificate and Decal to show their commitment to diversity and inclusion. As individual practice members complete the program, they will earn a certificate, pin, and 9 hours of CE credit. Contact hcvm@purdue.edu to enroll your practice in the Together Program. What if an employee leaves our practice or drops out of the program? Can we get a refund? There will be no refunds or substitutions once the practice group has registered. Should someone leave the practice, the practice owner will notify Purdue and that individual will not be required to complete their certificate for the practice to attain TOGETHER Program completion. What if we have a new employee join our practice? How can they participate? Should someone join the practice, the practice owner will need to register and pay for that individual to complete the certificate for practicing veterinarians and veterinary technicians at full price through the Center of Excellence for Diversity and Inclusion Website (HumanCenteredVetMed.org). That individual will be added to the group required to complete their certificate for the practice to attain TOGETHER Program completion. This program is approved for 9 hours of CE credit by the Purdue University College of Veterinary Medicine under Indiana statutes. This is not an AAVSB RACE-approved program. Individuals should check with their state board's policy for accepting Purdue University College of Veterinary Medicine and Indiana-approved CE.